BUENOS AIRES (Sputnik) - Lima Group countries will consider additional diplomatic measures targeting Venezuela following the presidential election held in the country on Sunday, Argentine Foreign Minister Jorge Faurie said. "We have agreed within Lima Group… to consider additional diplomatic measures, apart from the ones that have already been agreed," Faurie said Monday. The Argentine foreign minister noted that the actions of Lima Group, a union of states established specifically to address the crisis in Venezuela, has helped to "avoid international legitimization of the government of [Venezuelan President Nicolas] Maduro." "The worsening of the real situation in Venezuela underscores the need for the countries that share these views on the absence of democracy in Venezuela to continue this [policy] to be able to replace Maduro's government," the minister said. The Lima Group will soon tackle the migration from Venezuela as well as health issues, according to Faurie. "Disease is starting to spread across the continent because the Venezuelans have no pharmaceutical drugs and no food," the minister said. Earlier on Monday, Lima Group countries refused to recognize the legitimacy of the election held on Sunday, as Maduro was re-elected. 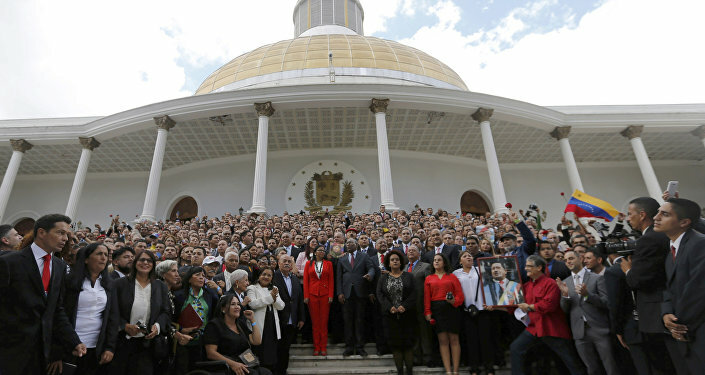 Moreover, Argentina, Brazil, Chile, Colombia, Costa Rica, Guatemala, Guyana, Honduras, Mexico, Panama, Paraguay, Peru and Saint Lucia have agreed to scale back their diplomatic relations with Venezuela. Venezuela has experienced multiple protests as it has been struggling with difficult economic conditions.